Ahn Jae Wook staged an action scene. 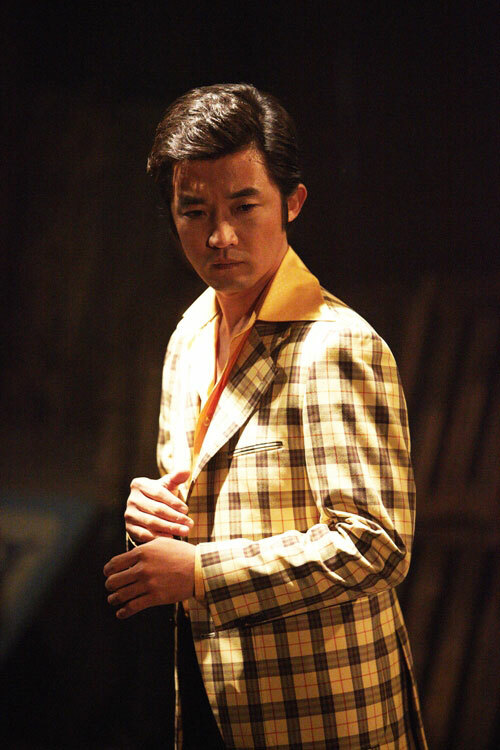 In the episode 3 of MBC’s Lights and Shadows broadcast on December 5th, 2011, Kang Ki Tae (played by Ahn Jae Wook) engages in many variety of action scenes from boxing to side kick in order to rescue Sin Jeong Goo (played by Sung Ji Roo) who is in danger, bringing into play his action instinct. In the last episode, Ki Tae rejected the campaign propasal of Republican candidate Jang Chul Hwan (played by Jun Kwang Ryul), instead he supported the rival of the Republican, New People Party’s campaign, causing Chul Hwan to unhappy. The leader of the musical troupe Sin Jeong Goo who is busy with the theatrical tours mysteriously disappeared one day. After knowing the news, Ki Tae tried every effort to find the whereabouts of Sin Jeong Goo. While he was rushing here and there, he accidentally got to know that Sin Jung Goo had been caught. In order to rescue Sin Jung Goo, Ki Tae went to the warehouse that locked up Sin Jeong Goo. The source form “Lights and Shadows” said: “In this scene, Ahn Jae Wook worked for eight hours of time without regards to his own safety, and successfully shot beautiful effects,” revealing the behind the scene story for the action scenes.